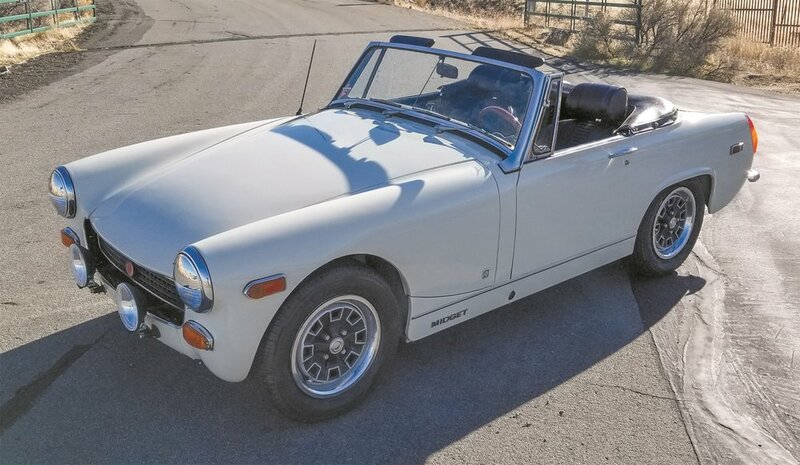 I purchased this Midget in 2014 after restoring a 1972 MGB and a 1974 MGB. 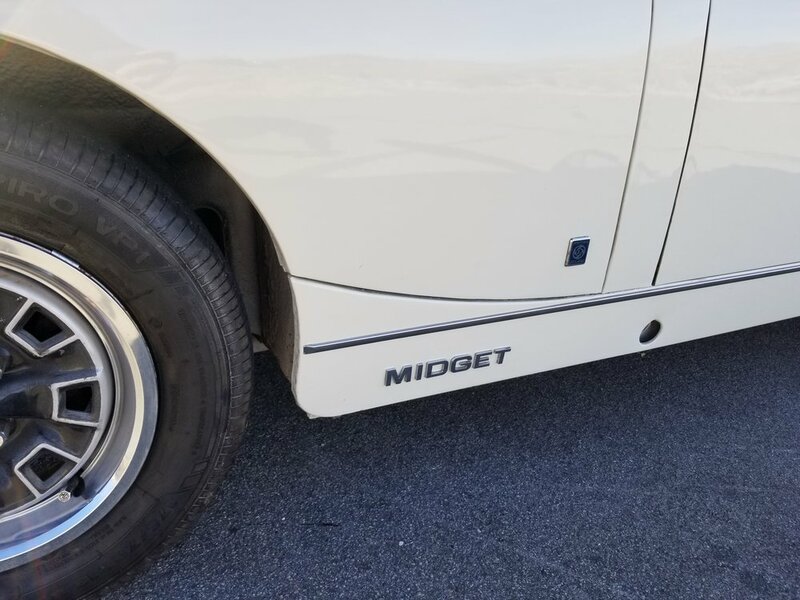 I had been looking for a Midget project for some time and this one was for sale in Sacramento. 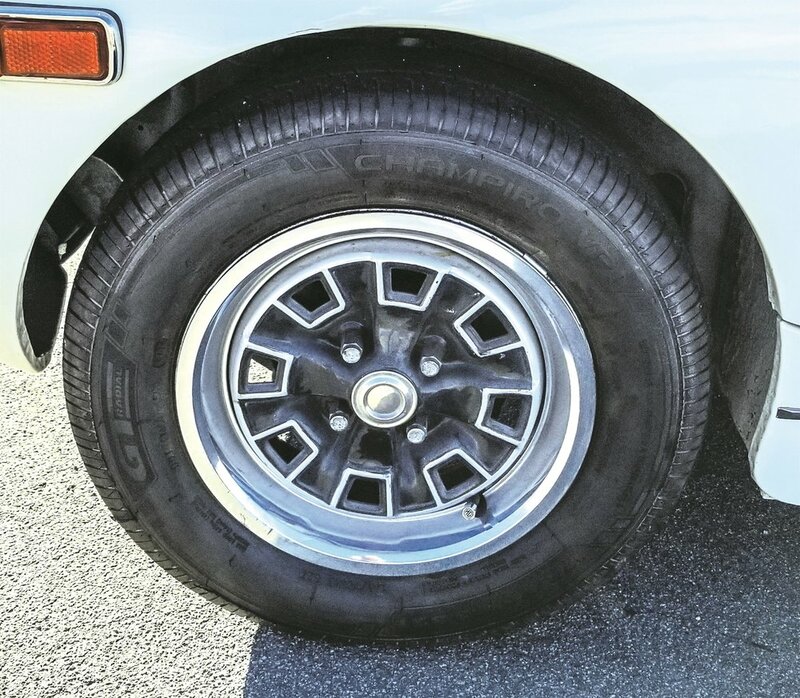 The previous owner had already done all the mechanical restoration of the car (engine, carburetors, clutch/transmission, brakes, suspension); the only remaining projects were some electrical and the cosmetic parts of the car. In 2014 I embarked on disassembling all exterior and interior cosmetic parts and redoing much of the electrical. It received a fresh interior and exterior, along with a fresh coat of Old English White. After spending weeks researching and testing variations of Old English White (there were different formulas used over the years on British sports cars), I decided that Mini Cooper perfected it with a modern rendition called "Pepper White.” It has a little more gray than yellow in it, and I loved it. That's what I went with and the end result was more than I hoped for. While there are still a few minor project items left of the car (there always are on these things), I really just enjoy it and drive it now. It's not 100% perfect but I've learned that "perfect" is subjective with car restorations, that everyone has their own likes and dislikes. For me, its the imperfections that make it unique and perfect in its own way.